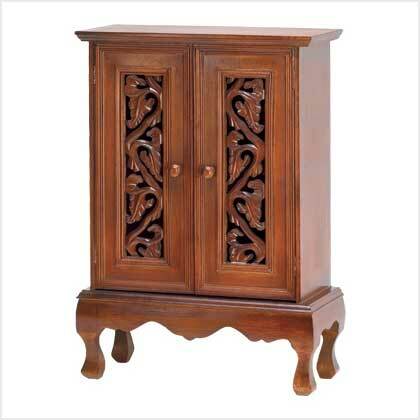 Curving ivy vines form an entrancingly lovely filigree pattern, adding fascination to this stunning double-door cabinet. The ideal storage spot for a trove of precious treasures, this tabletop curio boasts classically romantic styling and warm rosewood glaze. 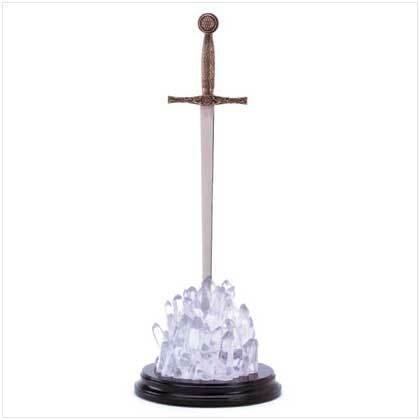 A timelessly beautiful enhancement to your home! Wood. One interior shelf. 14 1/8" x 6 3/8" x 19 3/4" high. Retail Price: $79.95.